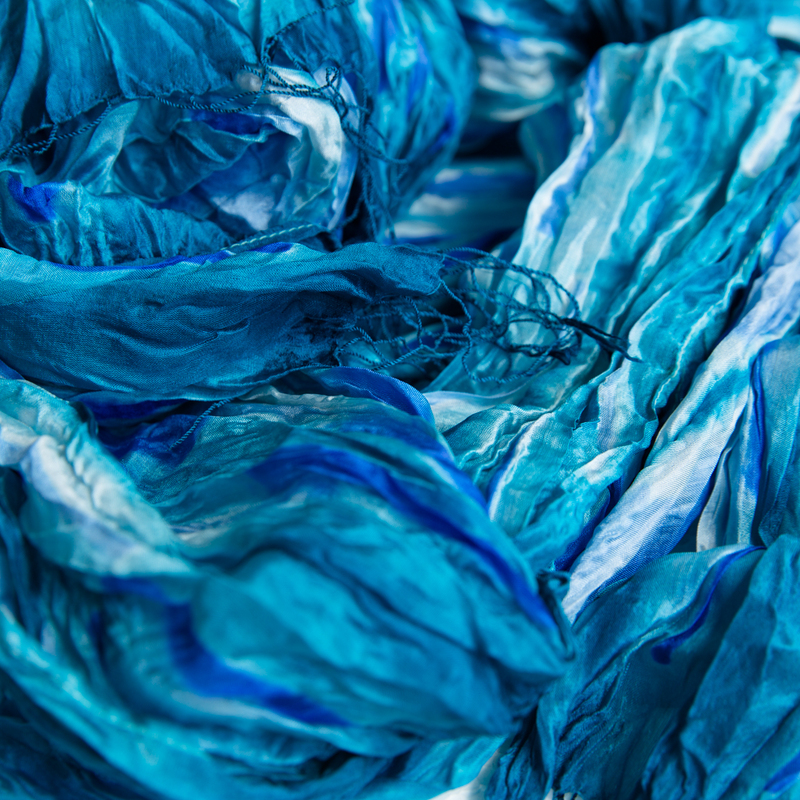 Pretty, lustrous silk scarf in different shades of aqua blue. This soft and comfy piece is handcrafted by Vinita in Thailand. Vinita is one of our best-selling artisans. Her sharp eye for colours, in combinations with her use of different dyeing techniques, have since long created the most vibrant and popular scarves.